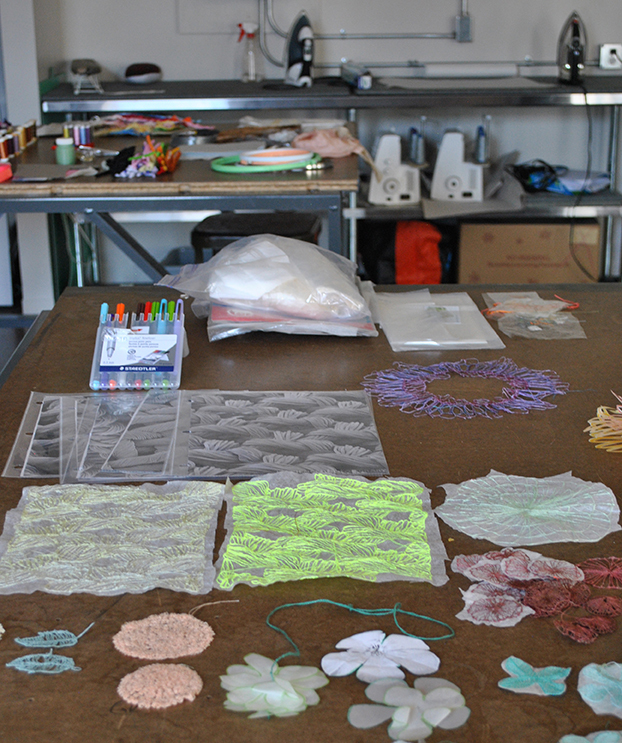 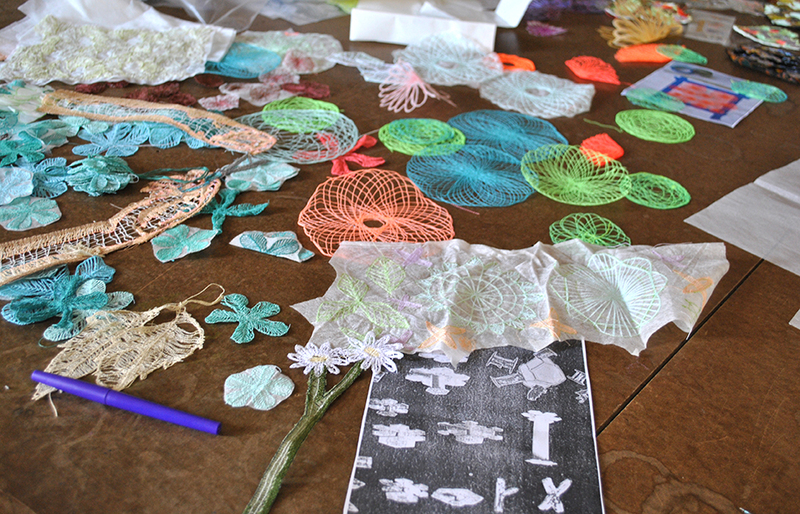 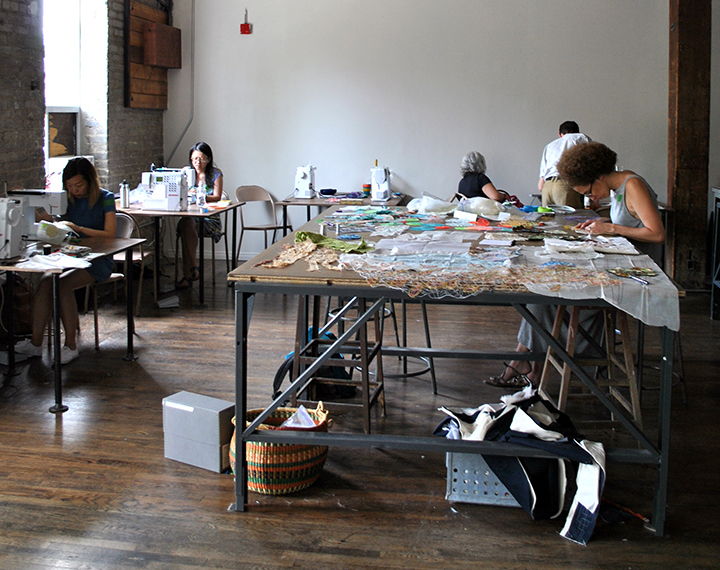 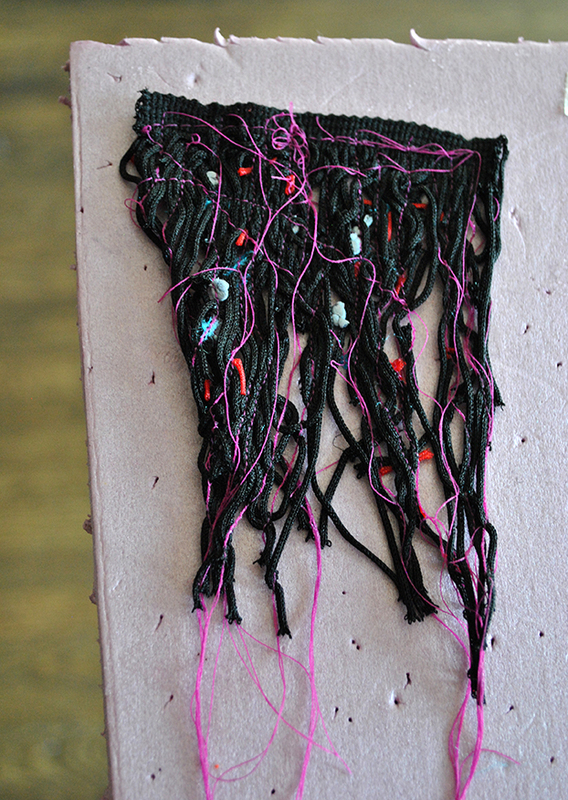 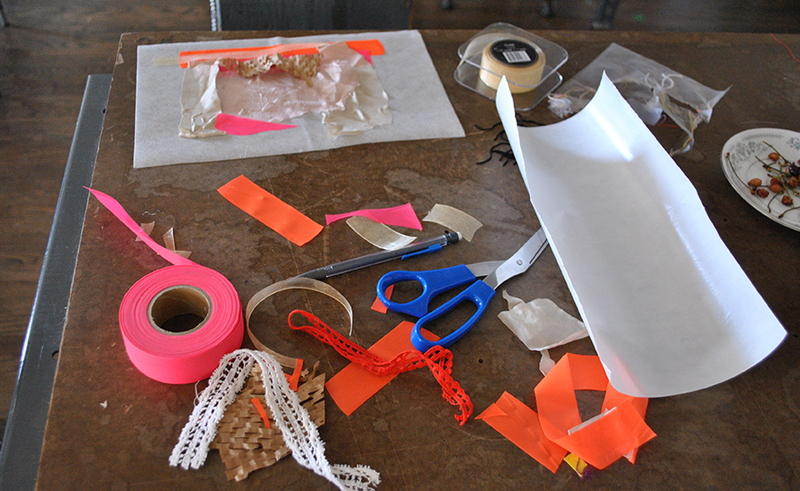 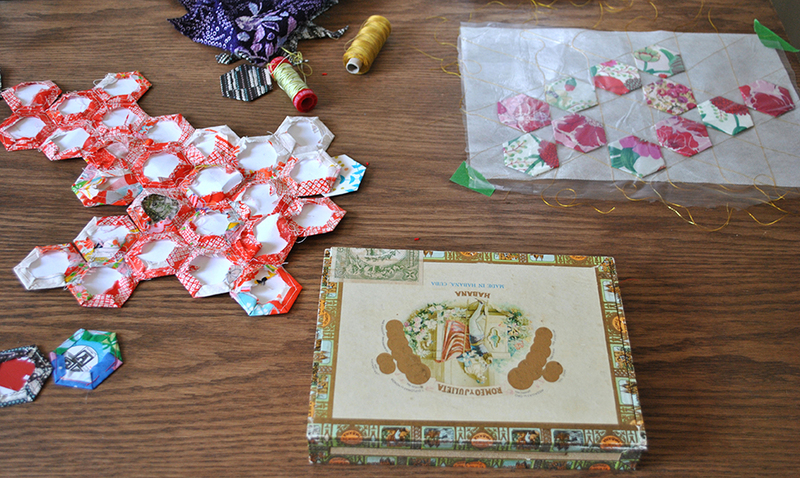 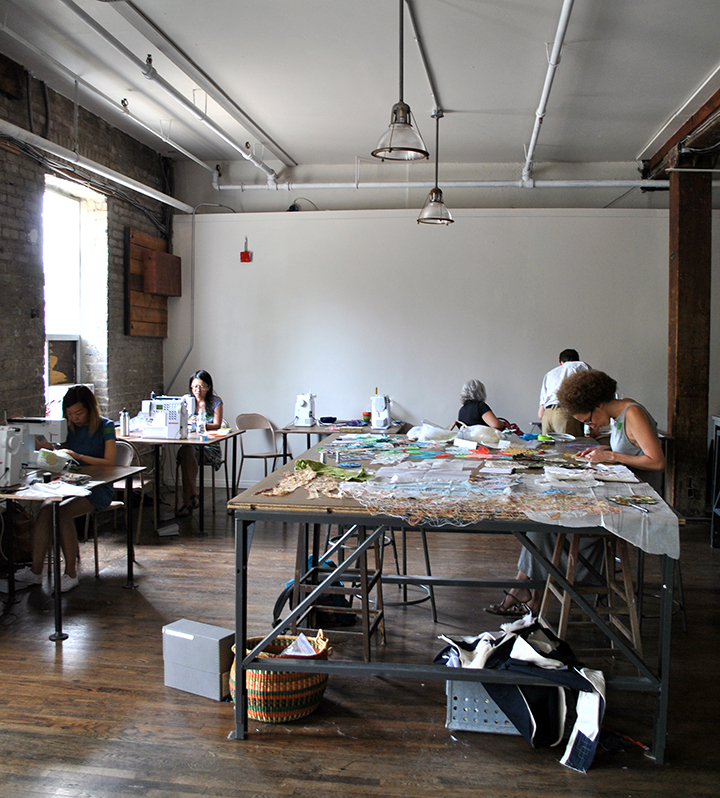 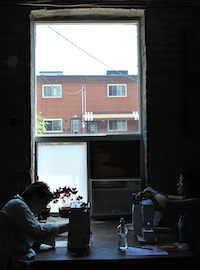 Here are some photos from the “Experimental Surfaces” Workshop I ran at the Workroom Studio! 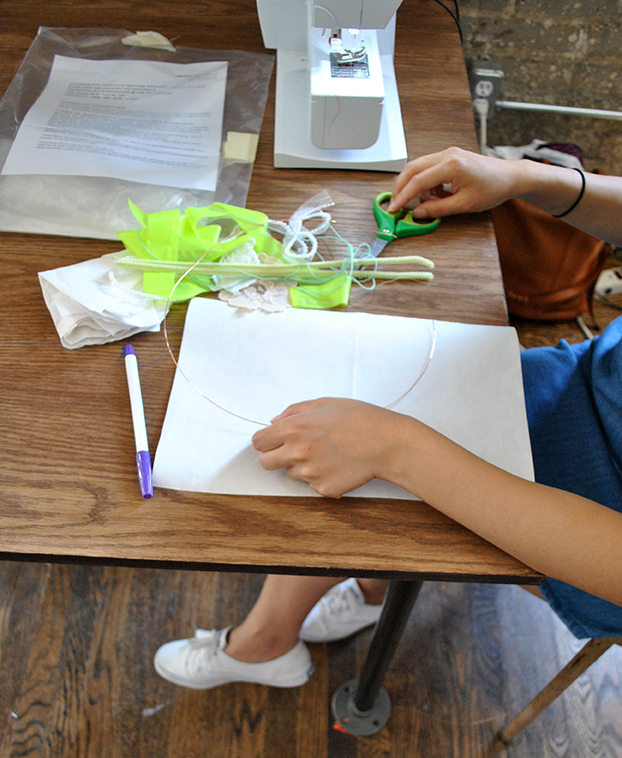 Thanks to InterAccess and the workroom for organizing the event. 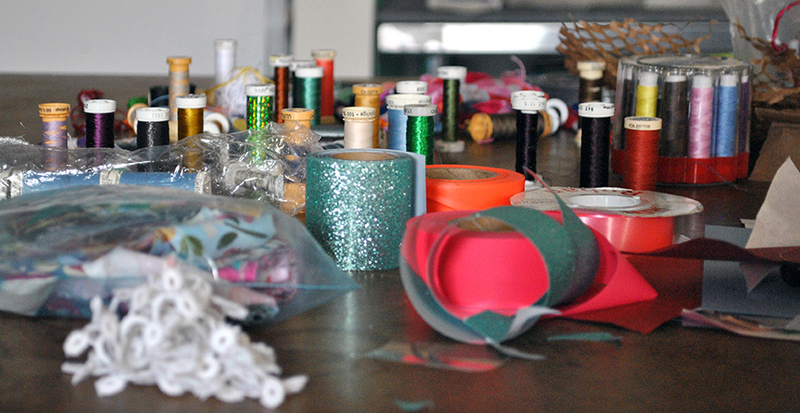 I loved every minute of it! 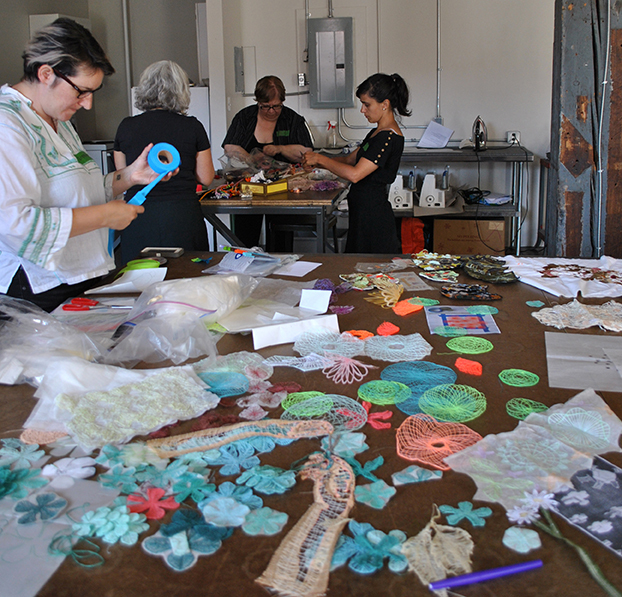 In this workshop we constructed dynamic, textured, mixed media surfaces with machine and hand embroidery. 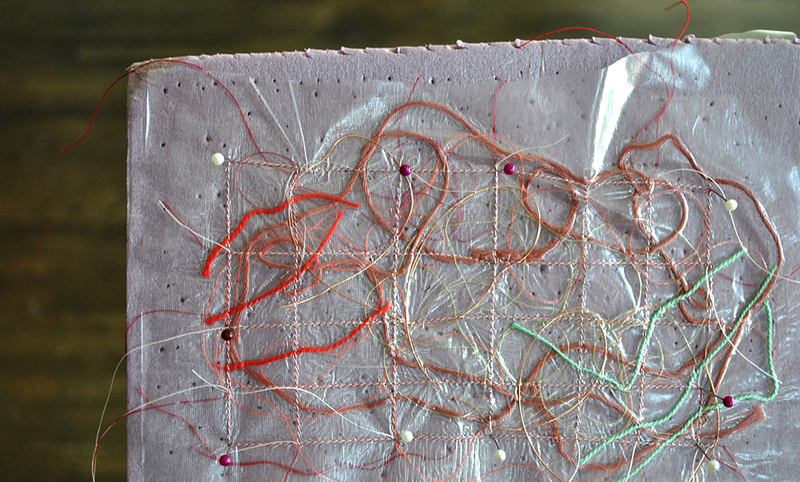 With the use of a water soluble stabilizer, students were encouraged to experiment with a variety of materials to create textured, embellished grounds where stitches hold the surface and materials together.